Once again!... 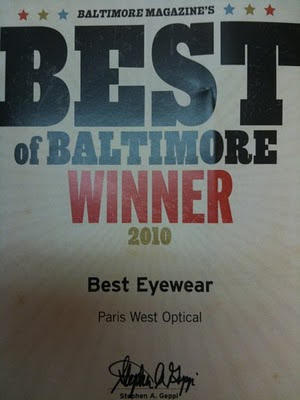 We are proud to announce that Paris West Optical has won the "Best of Baltimore" award for best eyewear. Thank you to our entire staff: Aubrey, Rudy-Poo, Doc Larry, Cailin, and of course the boss...Miss Kendall. Also thank you to Baltimore Magazine and our loyal customers for supporting us for these 16 plus years... you make it easy for us to come into work. We promise to continue to work as hard as possible to be deserving of this honor for years to come. Thanks again! Jee Vice "Heated" in Orange Jubilee is in stock. 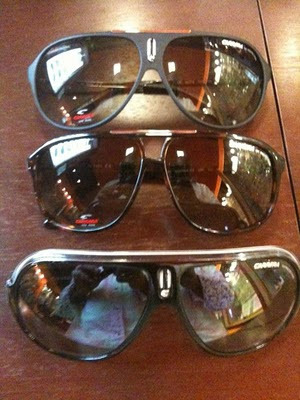 New Carrera shades...in stock now. 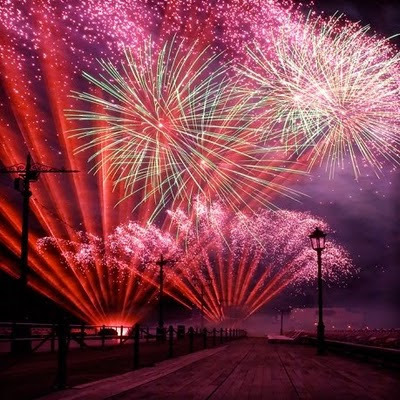 We hope every one had a great 4th of July weekend. I actually was lucky enough to visit the family friendly city of Las Vegas... where it was a cool 100 degrees plus every day. Ok, it is 100 degrees plus in Charm City as I type this so I guess that's not so impressive. We currently have a good selection of these in the store, but they are going fast... stop in and claim yours today.